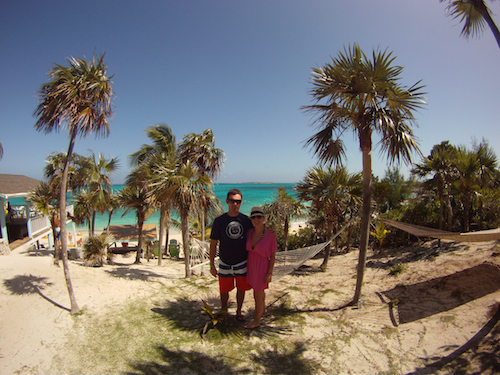 We just got back from another great trip put on by Beachbody for qualifying for Success Club last year. 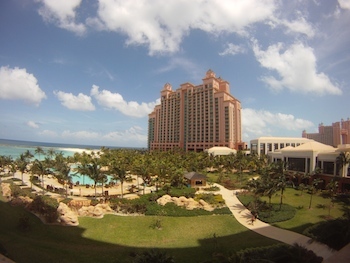 This years trip was to the Atlantis Resort in the Bahamas. We stopped in there last year for a couple of hours on the Success Club Cruise but didn’t get to see that much else. Andrea and I decided to get there a couple of days early before all the workouts and business building workshops kicked in. We stayed at The Reef for the first couple days and am kind of glad we did as it had a kitchenette. I received sticker shock when we ate at the buffet and spent $60 a person that first night. Decided it would be in our best interest to go grocery shopping to have at least breakfast and lunch food around for the week. If you plan on going grocery shopping in the Bahamas make sure you keep the stamps the store gives you and use those as money when negotiating with the taxi cab driver on the way back. We later realized the stamps were as good as cash to the locals. Andrea and I spent most of the first two days hanging out on the beach, going on the water slides, having the not so lazy river flip us twice and enjoy the resort. 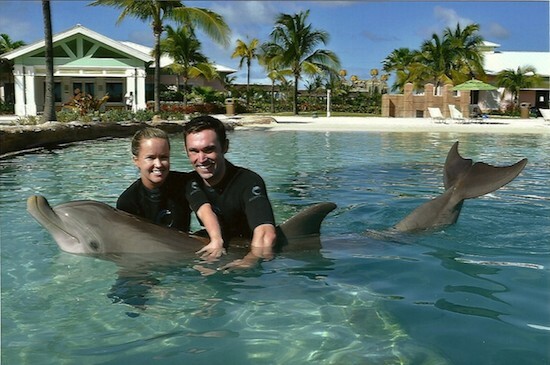 We spent one afternoon at the Dolphin Experience feeding them, letting them push us, and getting pictures of us kissing them. The staff there messed with us the entire time which brought out a laugh here and there. Was kind of bummed when they said I couldn’t bring my GoPro camera in and instead had to pay $70 for 5 pictures. 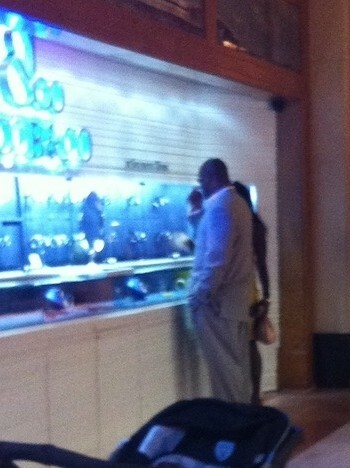 Nothing is cheap at The Atlantis. The Atlantis is where the rich high school kids go on Spring Break. Saw kids dropping more money at the bars there on one night then I did my entire week on my high school spring break. One guy bumped into me at the bar and asked me how my spring break was going. After informing him I was not on spring break he asked how big the high school I went to was. Him and his girlfriend were surprised when we told him we were in our early 30s. I guess we are aging well. 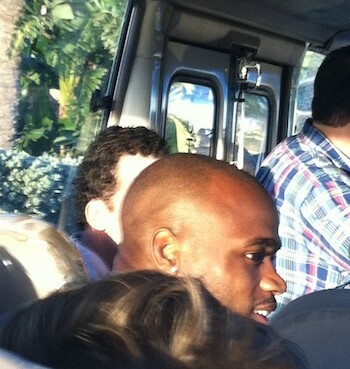 Before dinner that night we shared a shuttle ride with Adrian Peterson and saw Donovan McNabb. One of their teammates from the Minnesota Vikings was getting married there. 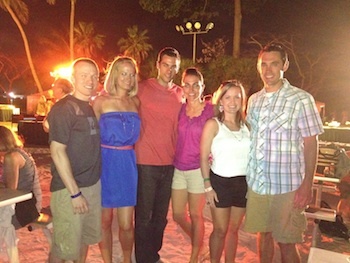 Our first day of Beachbody hosted events was a trip out to Sandy Toes Island with the rest of the 2011 Elite Coaches. Its a private island with a very rustic feel to it. 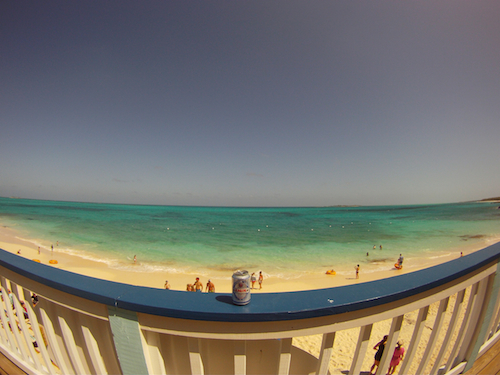 Reminded me of a Corona commercial. Had a great time with the rest of the Elite coaches. Have made some great friendships with them over the past couple of years and its good to catch up. Did some snorkeling, enjoyed the view, and had a couple of adult beverages. Even though we were only there for 5 hours it was one of my favorite parts of the trip. 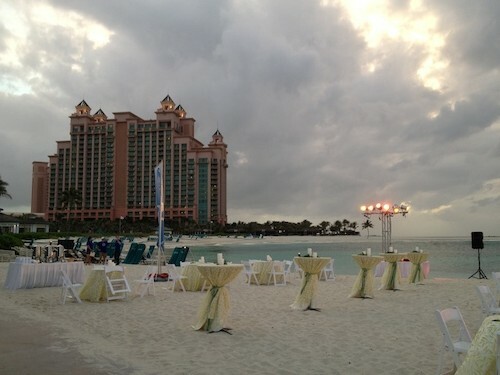 Later that night there was the welcome dinner for everybody who qualified for the trip. 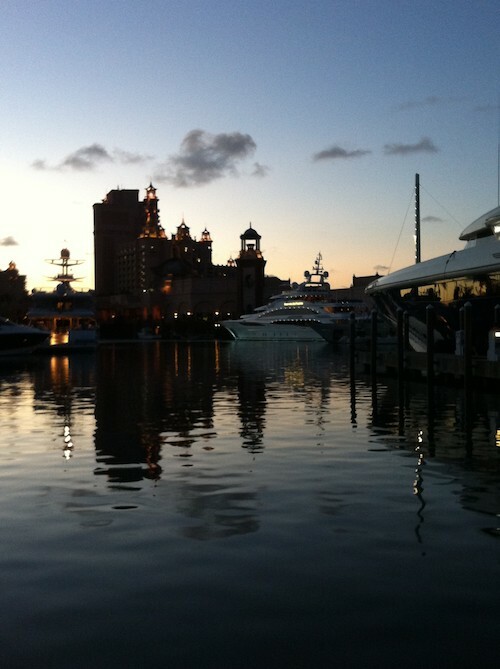 The next couple of days we just hung around the Atlantis. There is so much to do there if you can find ways to get around the cost or just deal with it. Beachbody moved us over to The Cove. There is a private adult pool called The Cain just for people who are staying there. 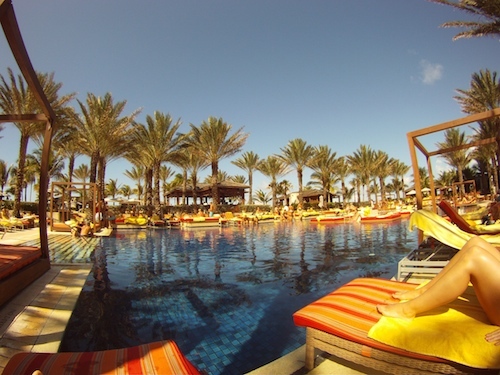 It looked like a postcard with lounge chairs and beds near the bluest pool water I’ve seen. 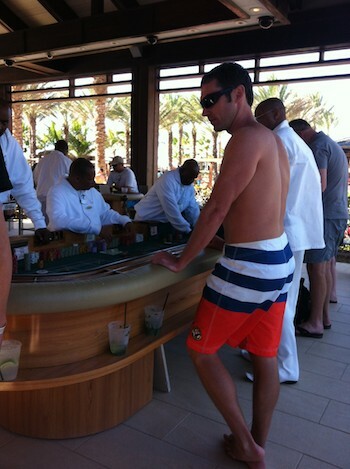 Bars on both sides with a DJ cranking out music and a place to gamble within arms reach of the pool. I didn’t do so well the first two nights at the casino but thought it would be cool to play outside. Felt a little intimidated playing craps with the guy next to me as he was betting over $500 each roll while I was slinging $25 around. Made all my money back plus some while everybody else was wilding out on the little island beds in the middle of the pool. 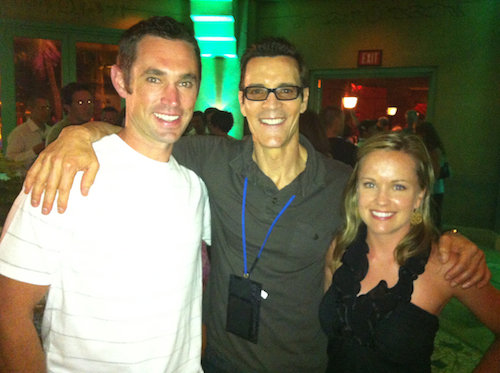 Did the morning P90X2 workout with Tony Horton and attended the meeting with Carl and Isabelle Daikeler talking about the new Ultimate Reset product coming out. I’m on day 3 as I write this. Was interesting to hear them talk about as to why people need to do this 21 day cleanse and also what it can do for our business. Was really pumped to see coaches from my team, Mark & Jessica Klanac along with Jonathan Register and Jennifer Register, qualify for the trip. Had a blast hanging out with them. 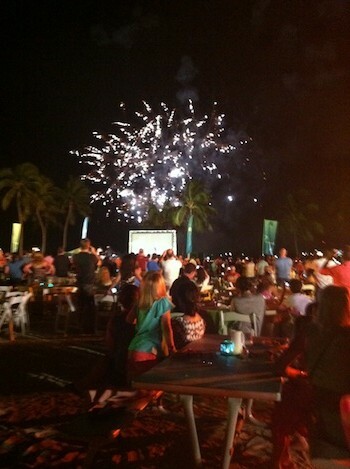 Beachbody put on a firework show the last night which was quite impressive. It was better than the one my city does for 4th of July. Nice touch to end a great week. Every time I get back from one of these events I feel a little more grateful to Beachbody for opening up the Beachbody Coach business to every day folks like myself when they didn’t have to. I think over 400 people qualified which meant 800 people were there. 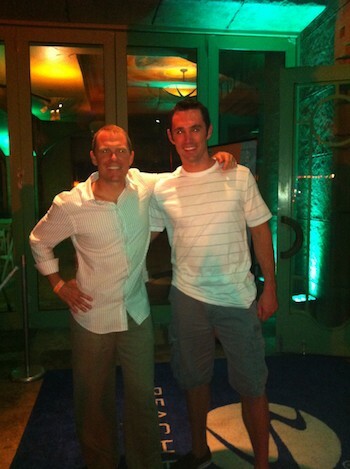 Its been something to watch the Team Beachbody organization grow with business and physical success stories. I could probably go on and on about the week but I’d rather let the pictures do the talking. Thanks Beachbody.